While the tennis world continues to hold its head high due to legendary players like Roger Federer and Rafael Nadal, Patrick Mouratoglou opines their emotionless game is boring. On the other hand, while a controversial player like Nick Kyrgios is highly criticized for being indisciplined, Mouratoglou feels the sport needs more characters like him. 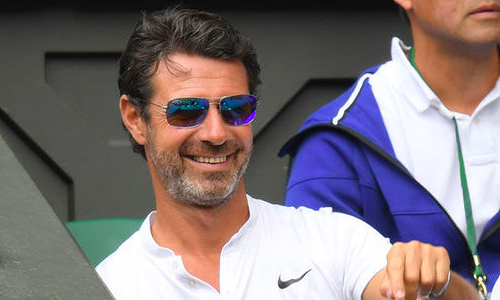 “If you criticise Federer or Nadal… it’s impossible to say something,” Mouratoglou, the coach of 23-time Grand Slam champion Serena Williams, told Metro.co.uk. “It’s difficult to criticise them, they’re perfect. Nobody is perfect. Speaking in favour of Kyrgios, who often gets into news due to his volatile behaviour, Mouratoglou said the same group of people who dislike him, are the ones keen to watch him play. “You will have people who like or dislike players and then be excited by the show,” he said. Sure, Federer and Nadal would like to their rackets do the talking!